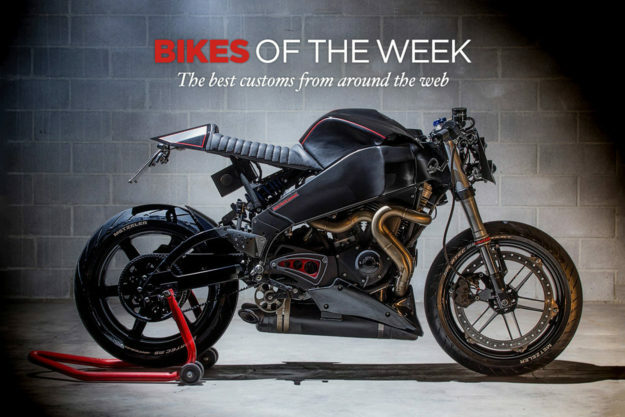 A brutal Buell XB9 from Italy, a Royal Enfield with New Zealand Maori-inspired graphics, and a Honda Bol d’Or with Gixxer suspension. Meet the machines that revved our engines this week. BMW R1200GS by Xcrambler Cycles After spending a weekend learning to exploit the impressive off-piste abilities of BMW’s venerable GS, I can honestly say the almost 600-pounder is actually quite nimble. And I’d jump at the chance to try the same maneuvers with this svelte scrambler conversion from Florida’s Xcrambler Cycles. The first thing most propellerheads will spot is that the telelever front end has been binned in favour of a more traditional set-up. Those forks actually come from the Beemer’s biggest competitor—a KTM 1190—and deliver extended travel and a lofty seat height, to accommodate the bike’s 6’ 6” owner. The forks and the revised rear Öhlins suspension add three inches to this scrambler’s rock hopping abilities. 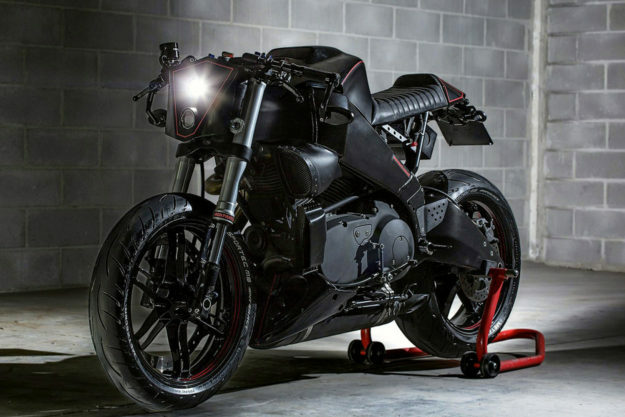 Buell XB9 by Iron Pirate Garage A short wheelbase, slender 175 kg dry weight and a 92Nm of torque made the Buell XB9 an agile streetfighter with a penchant for hooliganism. The XB9 was also underrated by enthusiasts but, as we’re seeing lately, the custom scene is starting to take notice. When Iuri Castaldi of Italy’s Iron Pirate Garage got his hands on a friend’s XB9, the owner took a quick survey of Iuri’s recent builds—and gave the Pirate crew the green light. The rear frame, airbox/tank and front fairing all received the hand-built treatment in Iron Pirate’s signature modernist style. 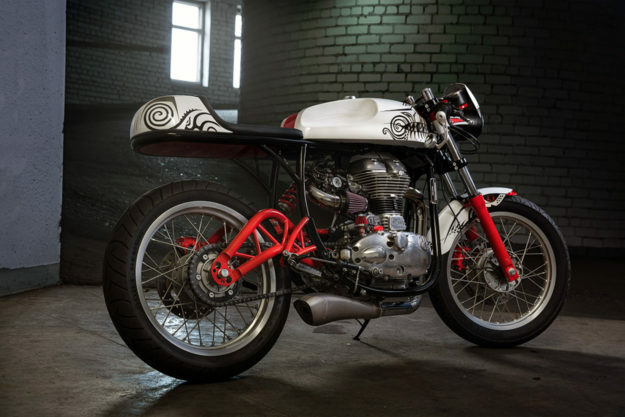 Royal Enfield by Melnitsky Motors The paint job on a custom motorcycle can make or break the builder’s design. Hit the sweet spot with your final coat of lacquer, and you’re all but guaranteed to draw eyes closer to your creation. Inspired by Polynesian tribal designs, this Royal Enfield from Moscow-based Melnitsky Motors features extensive and expert airbrush work to earn its name, Maori. That’s attention-getting to be sure, but like that mid-nineties armband tattoo you (or your friend) got, it may be telling the wrong story. If the airbrushed motifs aren’t your cup of tea, you may gloss over some impressive form-meets-function features. 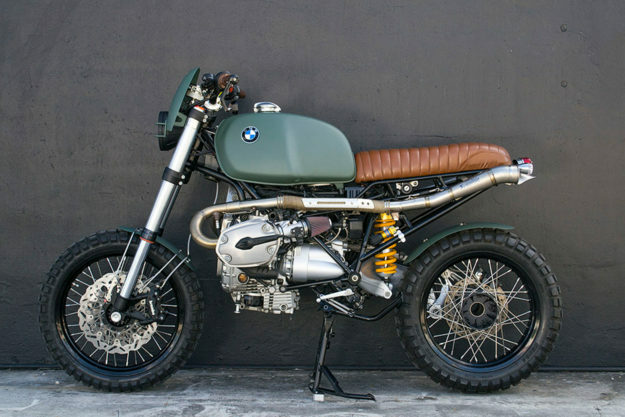 Take that gorgeous, tubular swingarm for example. Or how well balanced the bike sits, thanks to its revised geometry up front and that new subframe with its integrated taillight. Moto Guzzi by Stasis Motorcycles A rider’s first bike is always a special machine. It marks that moment in time when adventure and ambitions coincide, manifested in mechanical form. 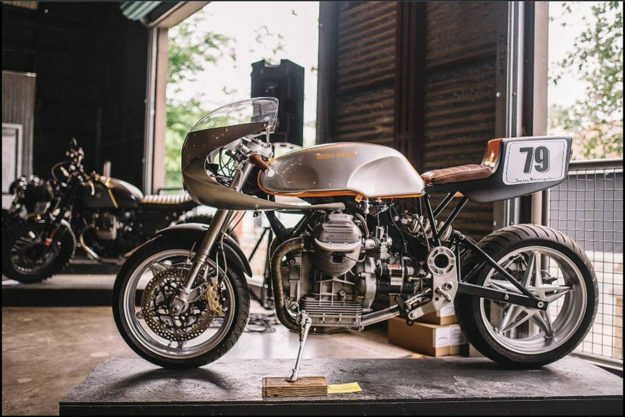 For Cliff Fisher of Stasis Motorcycles—a man who considers himself “Just a dude in a garage building bikes”—that moment was in 1998, and the machine was a 1979 Moto Guzzi G5 V1000. Over the years the Guzzi had suffered some rashes, and some rash customization decisions. But after putting together some impressive builds, Cliff turned his eyes back to the bike that started it all. Working from his ideal of a 70s endurance racer with modern components, Cliff hoarded parts for 15 years before building this absolute stunner. Honda Bol D’Or by Sameiros Motors Breathing new life into broken or left-for-dead machines is the hallmark of ‘nostalgic’ builders: They refuse to let potential rot into rust. Portuguese brothers Manolo and João Sameiro are two such craftsmen. 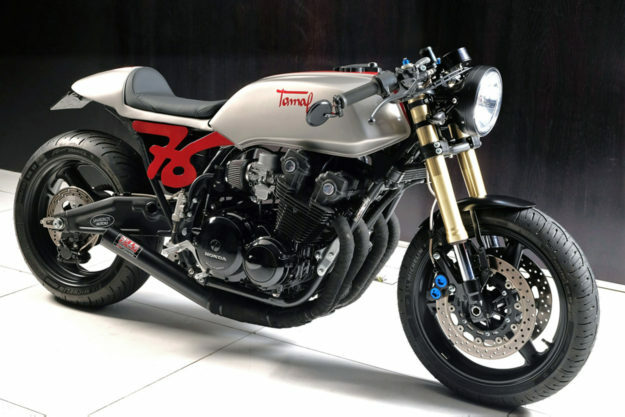 Working from their shop in Viana do Castelo, Sameiros Motors recently turned their attention to an unloved 1979 Honda Bol d’Or and we’re thankful they did. The S3 Tomahawk is a true showcase of ‘modern classic’ customization. After salvaging the Bol d’Or’s frame, tank and motor, the Sameiro brothers looked to a Suzuki GSX-R1100 for upgraded USD suspension and braking. A bespoke monoshock brace was designed, given an engineer’s blessing, and grafted into place.